“Catalyst” follows two brothers searching for closure while coping with their parent’s divorce. The younger brother, Terrence (Justice Rieth) looks above, to God and the church. The older brother, Keeran (Nick Kavanaugh) hopes a friendship he has with a talented classmate (Erika Sorenson) can turn into more, proving to himself that he will not take the same road as his parents. “Catalyst” blends neo-realism and religious metaphor to dive deep into a family living with echoes of a harmful past. 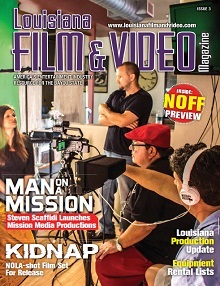 Cinema on the Bayou focuses on film at the epicentre of Cajun and Creole Cultures. A ten year tradition of bringing filmmakers and community together. 10th COTB: Jan. 21-25, 2015. American Heist, a New Orleans-shot crime drama, premiered at the Toronto International Film Festival (TIFF) earlier this month and came away with a distribution deal. Saban Films has closed a $2 million deal for U.S. distribution rights to the film, which was directed by Sarik Andreasayan and stars Hayden Christensen, Adrien Brody and Jordana Brewster. Saban Films also recently made a deal at TIFF for The Forger, starring John Travolta, Christopher Plummer and Tye Sheridan. American Heist, which shot in New Orleans over four weeks in summer 2013, is about two brothers with checkered pasts who become embroiled in a high-stakes bank robbery. The Maze Runner, shot in and around Baton Rouge last year, doesn’t hit U.S. theaters until this Friday, but it is already performing well in the international market. Check out this Variety article for more info! Directed by first-time director Wes Ball from a script by Noah Oppenheim, The Maze Runner stars Dylan O’Brien, Kaya Scodelario, Thomas Brodie-Sangster, and Will Poulter. The film follows “Thomas” (O’Brien), who wakes up and finds himself trapped in a massive maze with a group of boys. He has no memory of the outside world. Only by piecing together fragments of his past with clues he discovers in the maze, can Thomas hope to uncover his true purpose and a way to escape. Paramount Pictures and Skydance Productions have begun principal photography on Terminator: Genesis, directed by Alan Taylor. 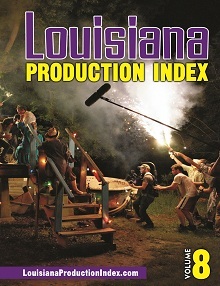 The franchise’s fifth film is shooting in New Orleans through August. The Terminator reboot features the return of Arnold Schwarzenegger, who launched the franchise in 1984 as the title character, and also stars Jason Clarke, Emilia Clarke, Jai Courtney, and J.K. Simmons.